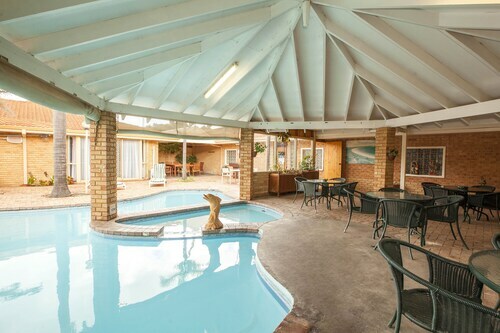 Located in Esperance, this beachfront motel is in the city center and within a 5-minute walk of Esperance Beach and Esperance Municipal Museum. Adventureland Park and Rotary Walk Trail are also within 2 mi (3 km). 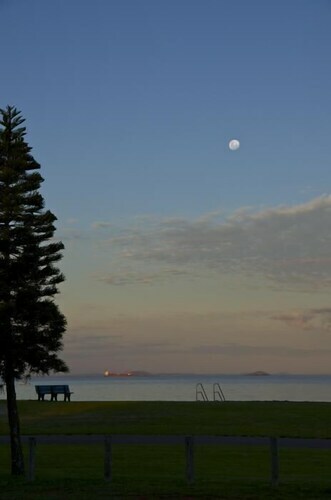 Situated near the beach, this motel is steps from Esperance Beach and Esperance Municipal Museum. Adventureland Park and Rotary Walk Trail are also within 1 mi (2 km). 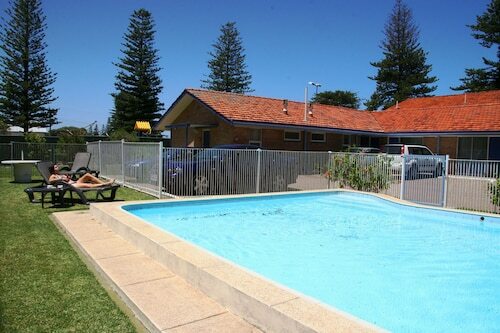 Situated in Esperance, this motel is within a 10-minute walk of Esperance Beach and Esperance Municipal Museum. Adventureland Park and Rotary Walk Trail are also within 2 mi (3 km). Offering direct access to the beach, this Esperance apartment building is within a 10-minute walk of Esperance Beach and Esperance Municipal Museum. Adventureland Park and Rotary Walk Trail are also within 2 mi (3 km). Pristine beaches, beautiful bushland and not a crowd in sight – wot better way to spend a well-deserved break? 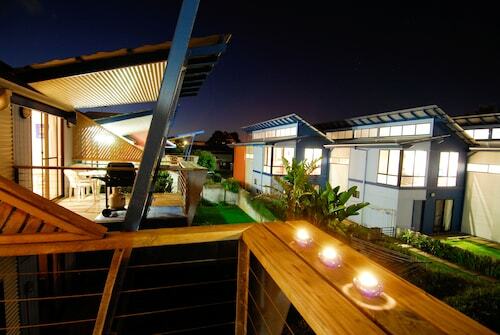 Our Esperance accommodation is the perfect way to enjoy the best that Western Australia's South Coast has to offer. In 1802, Matthew Flinders spent some time in Esperance and named many of the natural landmarks in the area. After that, more and more settlers arrived. You can see some of the original buildings that they built in the Historic Museum Village, where a number of shops are now in the premises of the old buildings. Get your bearings and take the 38km Great Ocean Drive. Along the way, make sure you stop off at Rotary Lookout, Twilight Beach, Pink Lake (only slightly pink with algae), Observatory Point and the Wind Farm. Some of the southern coast's best beaches are found in Cape Le Grand National Park, including Lucky Bay, Australia's Whitest Beach. So make sure you pay the park a visit. Woody Island, off Shearwater Bay, is a great place for snorkelling, diving and fishing. But if it's surf you're after, try the 16ft waves at Cyclops. This certainly isn't for beginners or the faint of heart because this shallow reef can be quite dangerous, so surf at your own risk. If you're into fishing, head to Tanker Jetty or the estuary in the Stokes National Park. With a bit of luck, you'll be able to catch some nice bream, Australian Salmon and King George Whiting. Animal lovers can walk the 3.6km trail through the Kepwari Wetland and check out the native waterbirds. Or if you're here in late winter, see if you can spot any migrating whales from the lookout in Cape Arid National Park. You can pick up essential items at the Esperance Boulevard Shopping Centre or grab some unique souvenirs at the Museum Village Markets and Growers' Markets on Sundays. If you're feeling a bit peckish, you'll be able to sit down for a fantastic pub meal or indulge in a fine dining experience in town. There are also plenty of cafes, bakeries and takeaway shops to whet your appetite. To get here, grab one of these cheap flights to Esperance. Once you've arrived, you'll be able to get around town on foot but if you want to explore the coastline, you're best off hiring a car. That way, you can drive a bit further to the Great Australian Bight. So wot are you waiting for? Book a room in one of our Esperance hotels and get ready for a laidback coastal holiday. How Much is a Hotel Room in Esperance? Hotels in Esperance start at AU$115 per night. Prices and availability subject to change. Additional terms may apply. Great property, manager escorted us in and pointed out where everything was etc. Great water views from our apartment, everything as we expected. Good location on the Esplanade, close to shops and restaurants. Neat, clean and tidy. Very thin walls though. I could hear neighbours talking. They closed the pool from 1 April which happened to be a very warn day, so that was disappointing. Overall a good place to stay. Nothing startling as rooms are older but clean and comfortable. Needs a little maintenance but priced accordingly. Close to town centre.